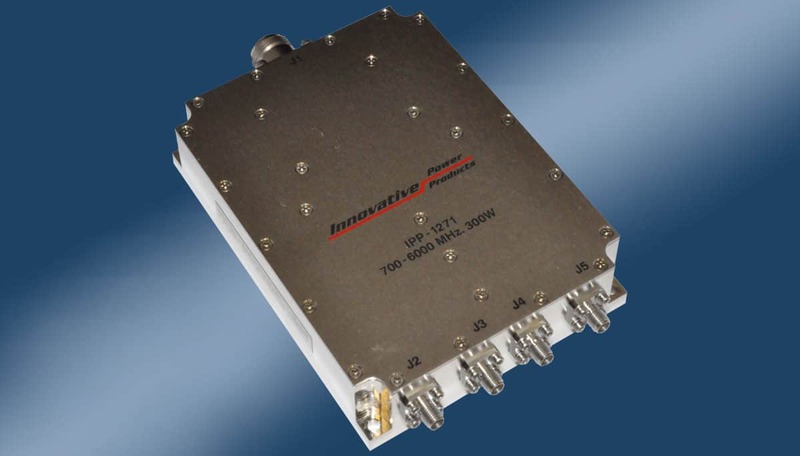 Innovative Power Products introduces their latest “Ultra Broadband” high power 4-Way Combiner/Divider model IPP-1271 which covers the full 700 – 6000 MHz. band. The Model IPP-1271 combines four coherent input signals or divides one signal into four up to 300 Watts CW of total RF power, and is produced in a 5.20” x 3.90” x 1.10” package with a type N connector on the sum port and SMA connectors on the four other ports. Insertion loss is less than 1.1 dB, phase balance is less than +/-7 degrees and VSWR is less than 1.35:1. 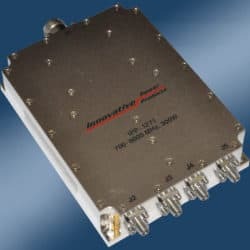 IPP is a designer and manufacturer for applications in the RF and Microwave industries, and offers a variety of broadband, high power couplers, combiners, RF power resistors and terminations operating up to 12 GHz.